There are travelers who value the quality of a city compared to the quantity and beauty of its squares. The more a city has more places it will be pleasant for its inhabitants. 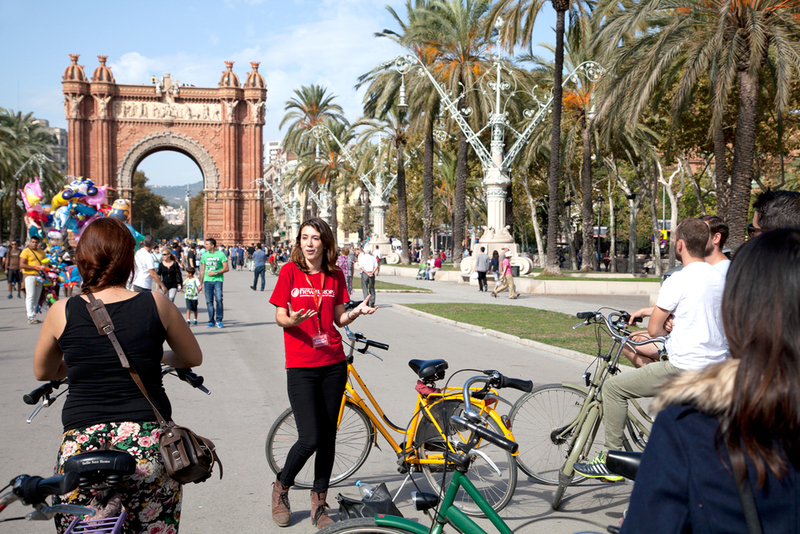 Barcelona has hundreds of squares that have diverse urban functions like having a drink, being a meeting point for families, beautifying a street corner, honoring historical figures or simply regulating traffic. There are places of different sizes and different appearances. It was not a pleasant and easy job to find out which are the best or the most important squares of a city like Barcelona. However, we set to work and decided to choose the most important places of Barcelona in relation to their historical or political relevance. Here are the five squares that each tourist is obliged to visit. It is perhaps the most famous square in Barcelona. It is the meeting point between the old city (Ciutat vella) and the modern center (Eixample) of Barcelona but it is also the meeting point of many Barceloners. Before having its walls slaughtered, the square was only an immense esplanade located at the entrance of the city. At the end of the 19th century, when the modern buildings of Eixample began to appear due to the urban plan of Ildefons Cerdà, Plaza Cataluña was rebuilt to resemble a place of obligatory visit by all the travelers of the world. As the square is a meeting point between Eixample and Ciutat Vella, Plaza Catalunya is the starting point of several major arteries of the city: Las Ramblas begins here its descent towards the sea, Portal de l’Angel towards Portaferrisa, while the Paseo de Gracia and Rambla de Catalunya begin their ascent to the upper city, via the Pedrera and Casa Batlló. 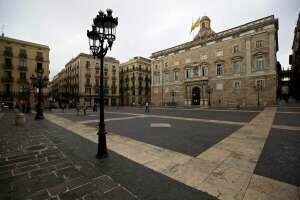 Located in the heart of Barcelona’s Gothic Quarter, Sant Jaume Square is the focal point of Catalan politics. We can find here the buildings with strong political and administrative power of Catalonia and Barcelona like the Palau de la Generalitat or the town hall. Sant Jaume Square is the meeting point for social and political events as well as protest marches. 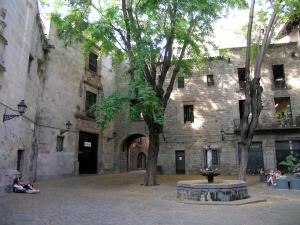 It is one of the oldest squares of the city and the ancient core of Barcino. Since that time narrow streets have arisen and have begun to meander the old buildings of the historic center. One of its streets is that of Bisbe which leads to the Cathedral of Barcelona. 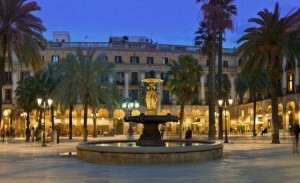 The general appearance of Sant Jaume Square dates back to the mid-19th century (1823). Since that time, the place is nothing more than a semi-open corner of the Gothic quarter where there is an ancient church (San Jaime church) surrounded by hundreds of houses and buildings. They Translated English (to the current street Ferrán) and demolish the other buildings to improve the importance of government buildings and open a commercial street, Ferrán Street. Real Plaza is the most populated and lively square with an unusual night atmosphere with restaurants, bars and music halls. But in reality, the real attraction of the Real Plaza is its undeniable beauty, its size and its buildings which surround with their neoclassical arcades and modernist facades, large palm trees towards the center of the square, the Three Graces fountain and the two lamps of a young Antonio Gaudí. The aristocratic character that was in its time changed this place towards a Bohemian atmosphere. Designed by architect Fransesc Molina in honor of the Catholic Monarchs (hence its name), Plaza Real is located near the Ramblas, the La Boquería market and the Liceu Theater, which are compulsory stops for tourists. Some films on the medieval or renaissance theme have chosen this corner of Barcelona to film some of their scenes. Perhaps the best known is the perfume of Jean-Baptiste Grenouille. San Felipe Neri square is certainly like no other squares in Barcelona, it is located on an ancient cemetery: the cemetery of “Montjuïc del Bibse” What is most evident from this place is that it is located in the district of Call or the former Jewish community and is therefore associated with some significant events. On the façade of the church that precedes the square, the San Felip Neri Baroque church, you can still observe the damage done by a 250 kg bomb dropped from an Italian legion plane during the Spanish Civil War. In this massacre of 30 January 1938, 42 people lost their lives, the majority were children who had taken refuge in the churches underground. In addition to the loss of life, buildings adjacent to the church suffered irreparable damage. Consequently, for the reconstruction of the square, architects had to move facades of buildings in other parts of the city. With 34,000 m2, Plaza España is the second largest square in Spain. It was built in 1929 for the World Expo. 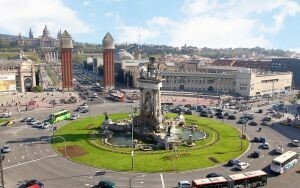 It is located in Gran Vía, at the foot of Montjuïc Mountain. Plaza España is the focal point of important avenues in Barcelona: in addition to Gran Vía, Parralle Avenue, Tarragona Street and Creu Cuberta, and finally La Reina María Cristina Avenue. In the center of the square is a magnificent statue designed by Josep Maria Jujujol that recalls the most beautiful Roman fountains. The square that formed part of the urban plan of Ildefons Cerdà serves as the border between the four most important districts of the city: Eixample Esquerra, Sants, Sant Antoni and Poble Sec. In Plaza España there are several interesting choices for activities or sightseeing: the first is to take the Avenue Maria Cristina between the two Venetian towers and climb the stairs to the National Palace (which is the National Museum of Art of Catalonia). In this museum you will be able to admire one of the most important Roman collections in the world. If you do not want to enter you can also be captivated by the view from the outdoor terraces of the museum. The other compulsory activity when you are passing through the Plaza España is to climb as high as possible in the Arenas shopping center (old arena) and enjoy the 360º view of Barcelona. 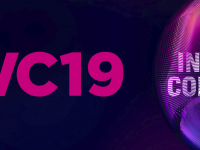 You may find it bizarre that we have not put any place in the neighborhood of Gràcia, the district of the squares of Barcelona but this will be for a next article.